Everyone agrees that curb appeal is important. If potential buyers don’t like the exterior of your home, they may not be curious enough to come inside and take a closer look. Giving your home a fresh coat of paint, sprucing up the yard, and repaving the driveway can dramatically increase the probability of attracting a buyer sooner rather than later. 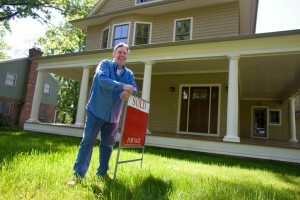 But what else can you do to entice potential buyers to make an offer on your home? Make sure it’s as safe as possible, particularly if your neighborhood has lots of families. Those who have young children pay special attention to the safety of properties they’re considering buying. The health and safety of their children is of the utmost importance, so do everything you can to prove that your home is 100% safe. One of the most persuasive ways to show potential buyers that your home is safe is by enlisting the expertise of H2 Environmental Consulting Services. We analyze both residential and commercial properties to make sure they’re 100% contaminant free. Utilizing the most technologically advanced tools and the most reliable techniques, we’ll check every molecule of your home for potential contaminants – including its soil, water, air, and physical structure. There are various contaminants that are often found in Southern California and the US in general. Families with young children and anyone else who’s immunocompromised should be especially careful to prevent exposure. One of the primary ways to avoid exposure to harmful contaminants is by having homes tested by H2 Environmental Consulting Services. We test for many common contaminants – including lead, asbestos, mold, and fungus. Lead is frequently found in older homes that have lead-based paint, some kinds of porcelain, and even imported toys. Lead poisoning can cause serious developmental issues in children, and even low amounts of lead exposure can cause irreversible damage. Mold and fungus develop in residential properties when excess moisture and a food source are present. Make sure potential buyers feel comfortable making an offer on your home by scheduling a full environmental evaluation of your property. Potential buyers will be able to review H2 Environmental Consulting Services’s findings and confidently make an offer. Asbestos isn’t that much of a big deal if it’s left undisturbed, but many potential home buyers plan to renovate or refurbish homes. As a result, if your home contains asbestos, the fibers could be released into the air and inhaled. Exposure to asbestos has been linked to serious diseases, so your potential buyers will definitely want to know whether your property contains asbestos before making an offer. Call H2 Environmental Consulting Services to give your potential buyers complete peace of mind. If we find that your property contains mold, fungus, lead, asbestos, or any other contaminant, don’t worry. We also offer complete remediation services. Following every government regulation to the letter and always following safety protocols, we’ll remove and securely dispose of all contaminants. Think beyond curb appeal – get your environmental evaluation from H2 Environmental Consulting Services today! Call us at (800) 524-3578.